RSS (Real Simple Syndication) is a way by which Triberr imports your new posts and presents them to your tribemates for sharing. So, it's very important that your RSS is configured correctly. You can find your RSS feed's address in few different ways. Click on it and copy/paste the URL from the address bar into Triberr's Settings. On BlogPost.com (aka Blogger), the naming convention is as follows. 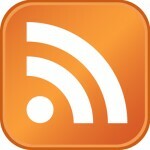 Your podcast may be embedded in your blog, in which case use your blog's RSS url. If you're using LibSyn to host your podcast, the RSS URL usually takes the form of http://podcast_name.libsyn.com/rss where "podcast_name" is the name of your podcast. http://gdata.youtube.com/feeds/api/users/insert_channel_name_here/uploads where "insert_channel_name_here" is the name of your channel.